I’m never sure of the best way to read a collection of short stories. Is each story to be read on its own, appreciated as something in its own right, independent of the others? Or should the collection be read together, each story akin to a movement in a piece of music, possessing its own mood and character yet inextricably linked to the other movements, with room for a cough but no applause in between? I suppose this is what gives short stories their freedom. You can dip in and read just one – on the tube to work, or waiting for the pasta to cook – or you can sit down and read them together, back-to-back, encountering them as chapters of the same book. 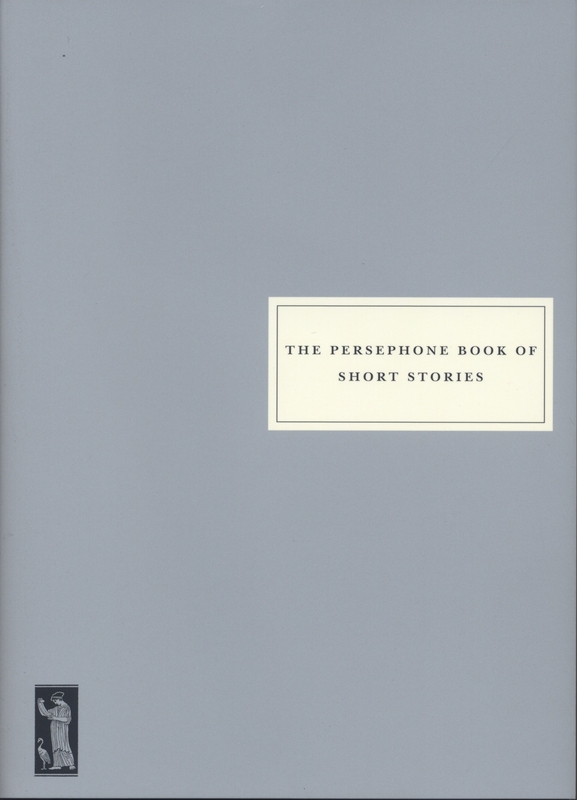 Over the past few months I have been greatly enjoying The Persephone Book of Short Stories – a vast, delightfully meaty book, stuffed with brilliant short stories by women writers stretching from Susan Glaspell in 1909 to Georgina Hammick in 1986. Arranged chronologically, there is a tremendous feeling of the twentieth century unfurling as you turn the pages, the preoccupations of its women minutely adjusting as time goes by. No wonder I’ve been reading this slowly, dipping in to one or two in the bath, using them as little bubbles of escape from whatever else I’ve been doing, wanting more than anything to store them up and anxious of the feeling that they will eventually come to an end. With one book of short stories already on the slow luxurious go, when Deborah Levy’s Black Vodka arrived in the post – always thrilling to get a package and doubly thrilling when it’s from And Other Stories (who I’ve written about at length for the Spectator here) – I knew I’d read it speedily, and indeed inhaled it in the space of a couple of days. Even though, I hasten to add, these stories weren’t written all at once with this specific collection in mind, but spread back to 2001 and have already been published elsewhere, separate from each other. These short stories don’t feel like stories. There’s no beginning, middle and end in the way that, say, most of the Persephone short stories are structured. These are more like episodes, moments, flashes into lives with sudden, alarming brightness. If these are love stories, then Deborah Levy’s pen is fashioned from Shakespeare’s ‘bright swords’ of Othello – her writing is sharp and cuts to the quick with its unique devastating light. Levy’s characters tend to be dislocated, alone, inescapably separate from others. From the man with the hump on his back in Black Vodka, to the orphan of A Better Way to Live, and Alice who arrives in Prague stripped of all her luggage in Shining a Light, to Magret, ‘dead inside’, who herself is described as ‘Vienna’ in the story of that title. Her husband who is going to betray her is standing inside the city of Roma. She is talking to him over the wall because she is not invited inside. Barriers, locks and other images of separation proliferate in these short stories, frustrating a connection between characters. Often the innate difference of the protagonist – hunchback, orphan, foreign – is what frustrates the connection. They have been hurt in ways she has not been hurt. They have left all the seasons in their country behind them. She stands behind me and presses her hand into my hump as if she is listening to it breathe. And then she takes her forefinger and traces around it, getting an exact sense of its shape. It’s the sort of thing cops do to a corpse with a piece of chalk. This takes place on Exhibition Road, a road of museums – a fitting place for the narrator to find his own archaeologist who wants to ‘record and classify’ him like an exhibit for a museum. It is a deeply strange connection – as though he is no more than a ‘corpse’ to her – and yet it leaves the narrator exhilarated and terrified by the ‘promise of love’. There is a slight shamanistic edge to what we do here at the agency, which is to say that it is our job to crash into the unconscious of the consumer and broadcast a number of messages that all end with ‘buy this product’. Nick had somehow extended his brief as Head of Finance – and crashed inside me. I love this idea that someone can somehow be landed with the past of another – that someone else can be forced to try to process everything that the other person won’t deal with and instead suppresses by turning to more and more cognac. This connection between Tom and Nick, this passing of the same past from one to the other, is the impossible articulation of what is missing between the characters in the other stories. Stardust Nation is the positive to the negatives of the other stories. These two characters have absolute connection, a shamanistic sharing, a channel between their minds, between their pasts, even the eczema in their bodies. And yet here it is Nick’s sister Elena who inserts a barrier, who refuses to let Tom pour his past into Nick’s head, to let Nick suffer for him. 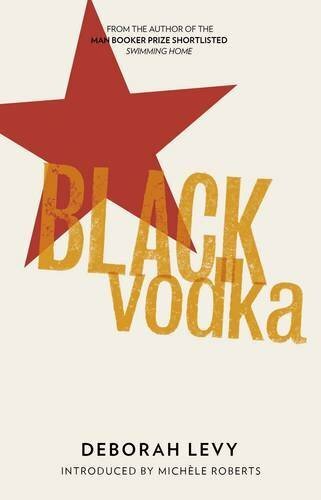 Black Vodka is a sad collection of stories. It is a collection of stories about the failings of love, the limits of connection rather than happy successes. Even the final story, A Better Way to Live, which is about two orphans who marry each other, feels more melancholy than celebratory as the text is pervaded by the loss of the narrator’s mother. It is a sad collection of stories, but a good one. Now I’ve read it in what felt like one long breath, I look forward to keeping it on my shelf and periodically going back to feast on Deborah Levy’s nuggets of painful brilliance, one by one.